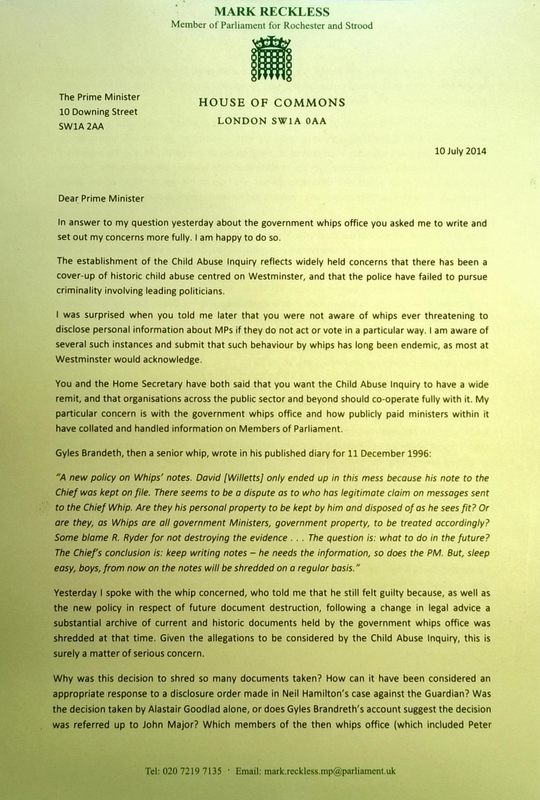 Further to the mention of David Willetts in the letter and the memo, this piece from 1996 clarifies the background. 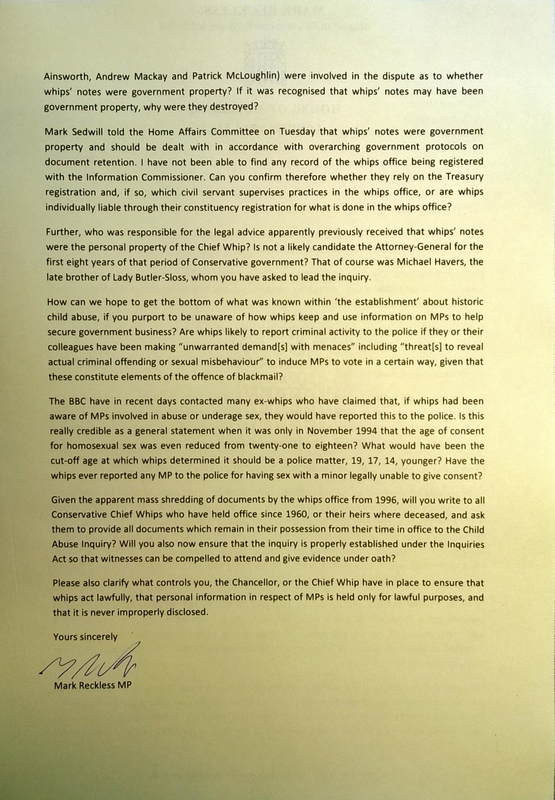 Mr Willetts had discussed the Hamilton affair with Sir Geoffrey [Johnson Smith] and then wrote a memo which implied that he had tried to ensure the committee either did not consider the Hamilton case, or undertook a quick inquiry that “exploited the good Tory majority”. The committee is now expected to consider the case of Andrew Mitchell, another former whip and now a minister, who is also the subject of allegations that he attempted to limit the inquiry into the Hamilton affair.